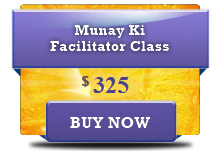 The Rites of the Munay-Ki transform and upgrade your luminous energy field. They are energetic transmissions that heal the wounds of the past – your karmic & genetic inheritance. They re-inform your DNA, enabling you to grow a new body – one that ages, heals, and dies differently. The Munay-Ki is your invitation to dream an entire new world into being. “We have been the keepers of a body of processes, of rites, that usher in who we are becoming as a people, as a planet. These processes are not only for the Indians, but for the entire world.” Don Manuel Quispe to Alberto Villoldo, Ph.D. The Munay-Ki comes from a Quechua word that means ‘I love you.’ The Munay-Ki are the nine rites of initiation to become a person of wisdom and power who has accepted the stewardship for all creation. The rites are common to all shamanic traditions, even though they are expressed in different forms and styles in various cultures. They derive from the great initiations from the Hindus Valley that were brought to the Americas by the first medicine men and women who crossed the Baring Straits from Siberia during the glacial period some 30,000 years ago. These courageous travelers were the Earthkeepers of old. Sometimes, people will perceive these ancient shamans as Native American elders, wearing robes from Asia or furs from Siberia, or even feathers from the Amazon. Sometimes you’ll be able to perceive their thoughts and feelings. and you will have access to their wisdom and their stories. Eventually, as you experience the 7th, 8th, and 9th initiation, you can download a new and better version of the software that informs the luminous energy field, which will then inform your DNA, giving it instructions on how to create a new body that will age, heal, and die differently.There’s nothing you need to do to attract these luminous shamans. They’ll come to you when you invite them to do so and are ready to receive them. When the student is ready, the master appears. They will not disturb you in any way, but are available to support you in your efforts to bring a bit more light and healing into the world. They’re also there to protect you from the negativity and fearful energies in the world today.